Jimmy Connors is one of my all-time favorite tennis players and professional athletes. Not just because he was such a fiery competitor who seemed to literally spill his blood and guts every time he took the court. But because of his racket. 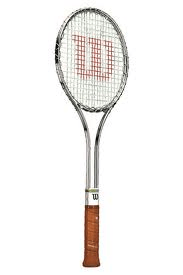 In an era dominated by space-age racket technologies like Kevlar, ceramics and various graphite-fiberglass amalgams, Connors stuck with his trusty Wilson T2000 – a primitive piece of steel with a wrap-around string aesthetic and microscopic sweet spot. There was just something about seeing the consummate throwback Connors, and his anachronistic Tool of his Trade, continually vanquish a parade of younger adversaries with their ultra-modern tennis accoutrements that resonated with the purist in me. That’s why Brennan v Constance, 2014 IL App (5th) 110555-U (2014), a lawsuit involving two former law partners fighting over legal fees owed by the tennis legend, naturally piqued my interest. The plaintiff and defendant was ere law partners in a three-person firm (the Firm). Connors was a long-time Firm client. When the Firm disbanded, a major sticking point was fees owed the Firm by Connors for previous services. Defendant believed the fees were his (since Connors was originally his client) while the other Firm members viewed the Connors fees owed to the Firm. After more than a decade of litigation, Connors paid nearly $11 million to the Firm. Defendant received nearly $7 million, while a former Firm partner got about $4M. Plaintiff sued to impose a constructive trust over a portion of the $7 million in fees recovered by defendant because plaintiff believed defendant misled him concerning the amounts owed from the tennis great. After a three-week bench trial, the Court entered judgment in plaintiff’s favor and imposed a constructive trust on the fees and awarded plaintiff more than $1.64 million – an amount equal to 25% of the Connors fees paid to defendanT. Held: trial court reversed. Plaintiff’s suit is time-barred. Plaintiff’s suit was barred by the five-year statute of limitations governing breach of fiduciary duty claims. Code Section 13-205’s five-year limitations period governs constructive trust and fiduciary duty claims. ¶ 60, 735 ILCS 5/13-205. A statute of limitations starts running when the cause of action accrues (when facts exist which authorize bringing the action). The “discovery rule” tolls (stops) the running of a limitations period until an injured plaintiff knows or should know he has been injured. Fraudulent concealment of a claim also tolls the limitations period. ¶ 61. In “passive” concealment cases, the plaintiff must show that defendant concealed a material fact that he was under a duty to disclose. ¶ 63. However, a plaintiff who knows he has been injured has a duty to investigate further and the limitations period will run when the plaintiff is put on “inquiry notice.” A plaintiff doesn’t have to know the full extent of his injuries before the statutory clocks start ticking. In reversing the plaintiff’s judgment, the 5th District found the plaintiff was on inquiry notice as early as 2004 (when he admittedly first learned of an aborted stock transfer that would have netted the Firm millions) but didn’t sue until 2010. Since plaintiff missed the five-year limitations period, his suit was too late. The Court also rejected plaintiff’s fiduciary duty argument: that since defendant owed plaintiff a fiduciary duty as a former law partner, it relaxed the limitations period. The Court disagreed. It held that while a fiduciary relationship may excuse an initial failure to investigate, it won’t lengthen the time to sue where a plaintiff knows of possible wrongdoing and fails to act on it. ¶¶ 70-71. Afterwords: This case illustrates the harsh results for litigants who sits on their rights. While a fiduciary relationship can bolster a fraudulent concealment argument and toll a limitations period, if facts exist that should put a reasonable person on inquiry notice of a wrongful act, the limitations period will run from the date of that notice.